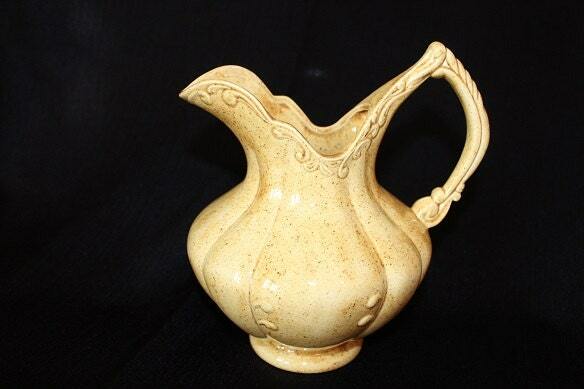 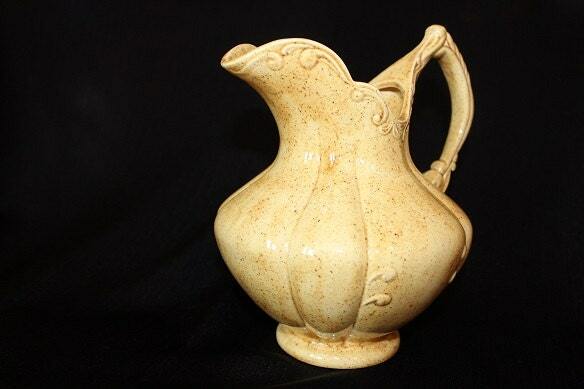 This vintage pottery pitcher is hand crafted with a high glazed yellow and brown speckled exterior/interior. 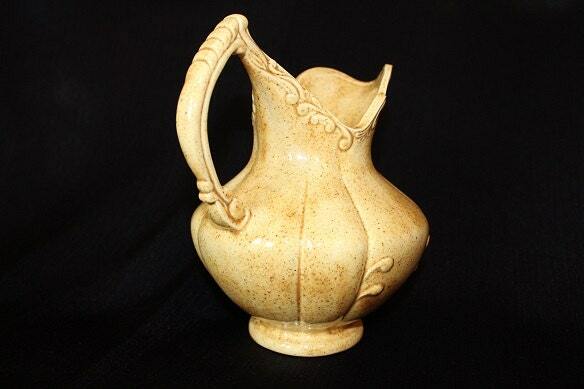 There is vertical ribbed line pattern with a set of two raised center scrolled design. 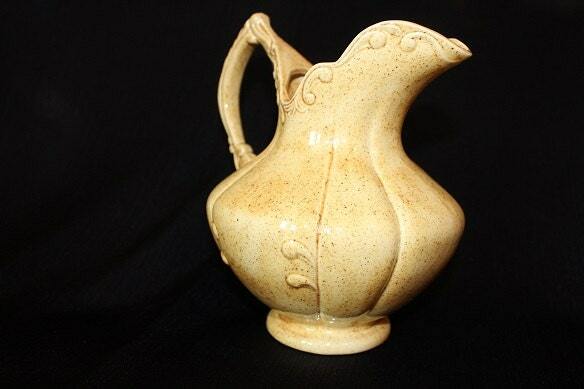 There is curved scroll design around the spout. 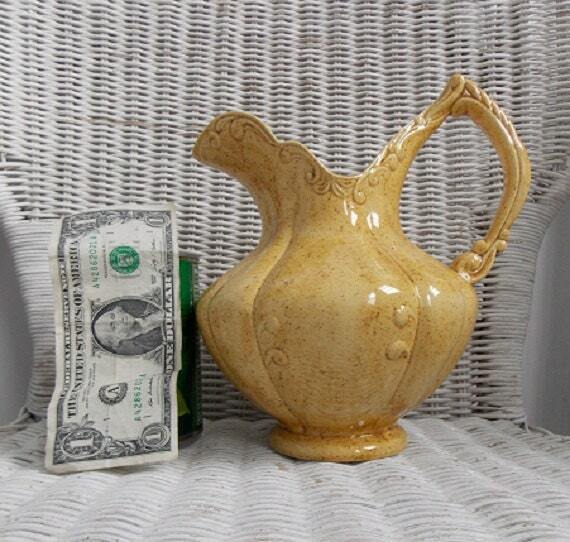 The pitcher is marked "D.R 83" on the bottom.